While cosmetology might seem like a one-dimensional career, it goes far beyond just cutting hair or makeup. Cosmetology not only requires you to be up-to-date on trends and educated in the latest techniques, but also be well versed in general management skills, client management skills, safety and even maintenance. In addition, a rounded cosmetologist will also train in aesthetics and nail services. Working in cosmetology requires flexibility, leadership, and the ability to make your clients feel special. Think you have what it takes? Keep reading! Cosmetology is by definition the “the professional skill or practice of beautifying the face, hair, and skin.” While those who study cosmetology sometimes choose to train in only one field, most cosmetologists are also trained in nails and skin care, which is known as aesthetics. What Can I Do With My Marietta, Ohio Cosmetology Degree? Professional cosmetologists have unlimited opportunities. The beauty industry is a multi-billion dollar industry with many opportunities for career advancement and innovation. With your Marietta, Ohio cosmetology degree, you could end up working for a big salon, styling Instagram models, traveling the world developing products, or working on a movie set. Because cosmetologists are in high demand, the possibilities are endless. A business-savvy cosmetologist also has the opportunity to create his or her own career path. As you can see from this list, there are many options in cosmetology besides just cutting hair. So, if you have a love of creativity, an eye for style, or a passion for makeup, you can find a job that fits your fancy within cosmetology at Preston’s Beauty Academy. 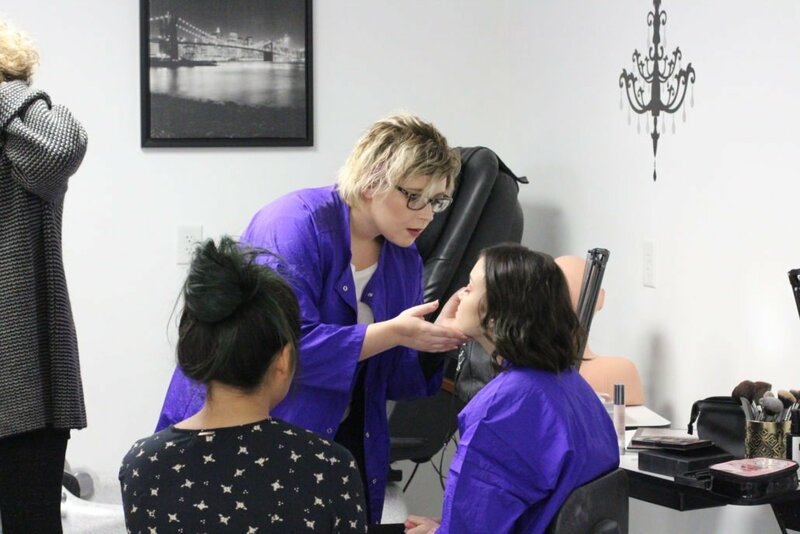 Cosmetology starts with proper training, which you can get with your Marietta, Ohio cosmetology degree. 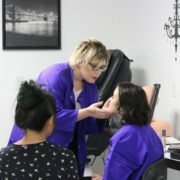 The requirements to become a professional cosmetologist vary state to state, but they often require graduating a state-licensed cosmetology school after training a certain number of hours. In addition, after graduation, you must pass your state licensing exam to receive your license. The best way to ensure your success is to pick an established and well-known beauty school to help you reach your goals. A good school will not only teach you the basic requirements you need to become a cosmetologist, but it will teach you how to put your passion for style, beauty, or fashion into your work to meet your long-term career goals. Now that you know what cosmetology is, are you ready to launch your beauty career? At Preston’s Beauty Academy, we offer the top-notch learning experience to ensure you are prepared for your future careers. With a 99% graduation rate, Preston’s Beauty Academy has thrived to help students complete their career goals. Your future is now! Call 740-374-5434 today or fill out our online contact form and we will be in touch. The Benefits of Coconut Oil + Free Infographic Should You Go To Cosmetology School?